Virtual Scrolling has been added to CDK, loading and unloading elements from the DOM based on the visible parts of a list, and making it possible to build very fast experiences for users with very large scrollable lists. The <cdk-virtual-scroll-viewport> displays large lists of elements performance by only rendering the items that fit on-screen. 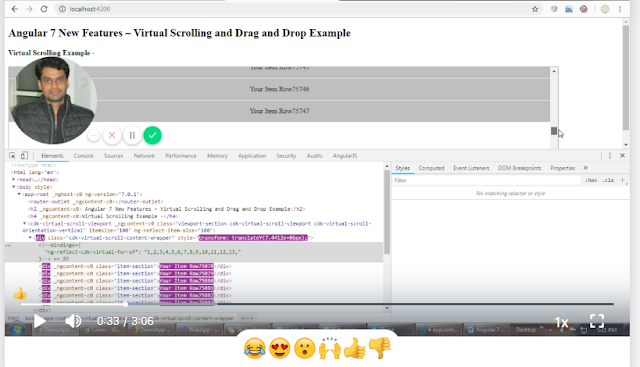 Virtual scrolling is different from strategies like infinite scroll where it renders a set amount of elements and then when you hit the end renders the rest. 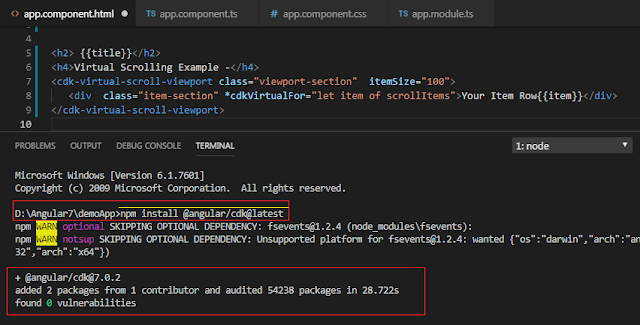 Firstly, we need to install the Angular CDK package to import the ScrollingModule module.